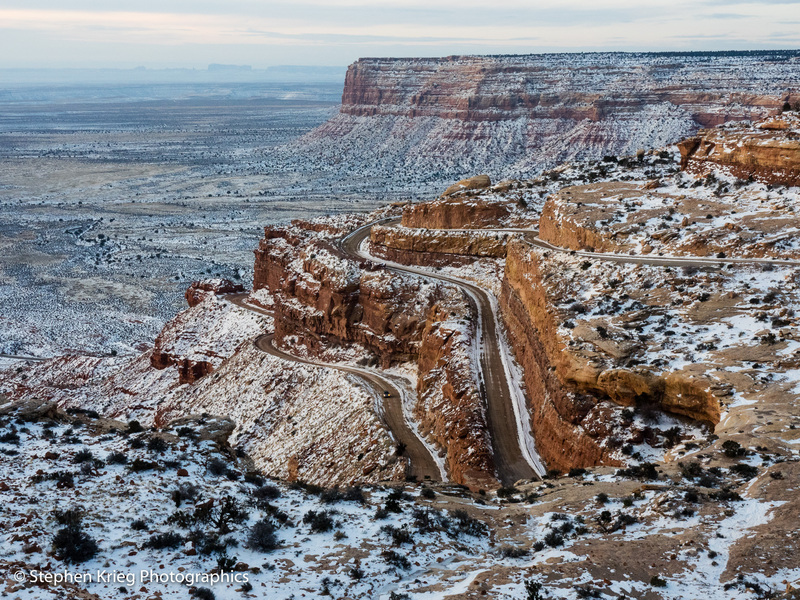 Goosenecks of the San Juan River in winter, from Goosenecks State Park. 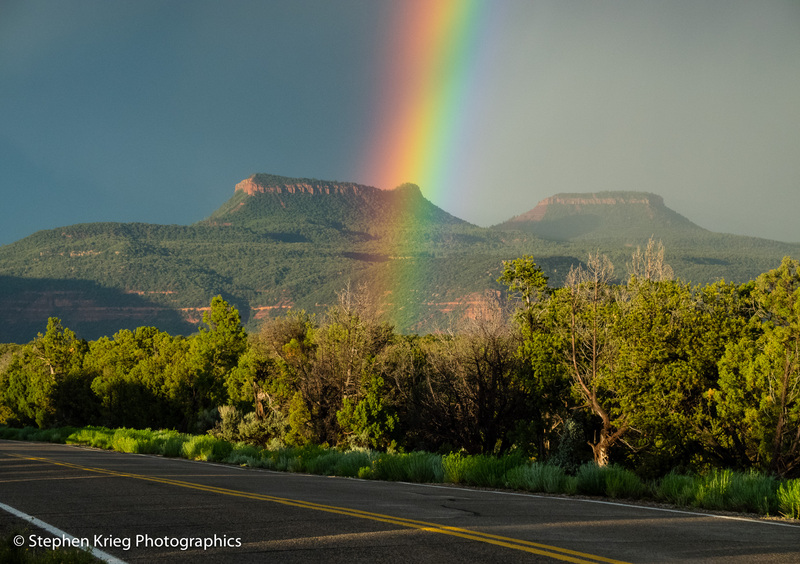 Rainbow in front of the Bears Ears Buttes, Natural Bridges National Monument. 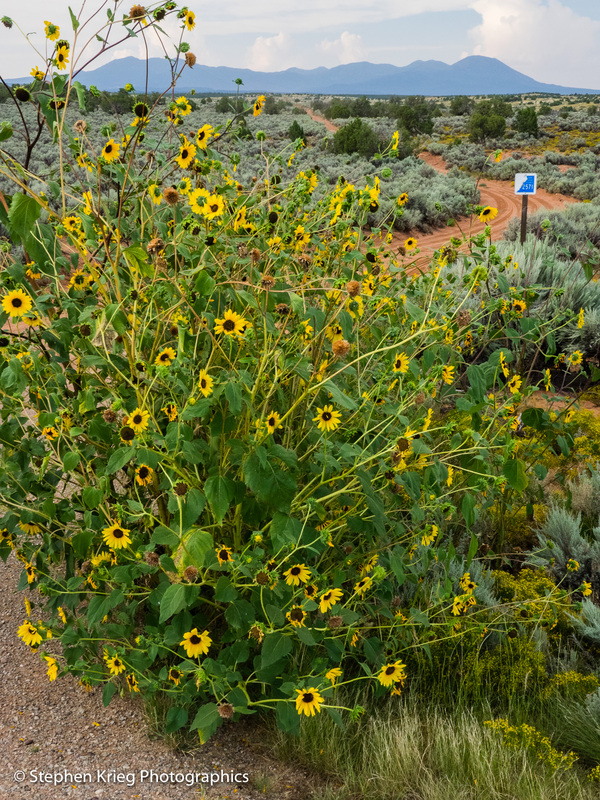 The Moki Dugway portion of Hwy. 261, Cedar Mesa. 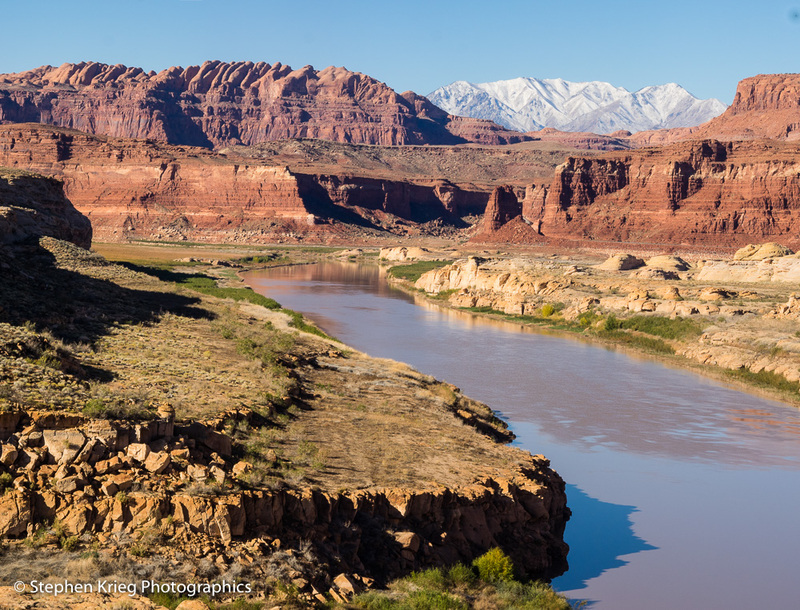 The Colorado River at Hite, Utah, in Glen Canyon National Recreation Area. 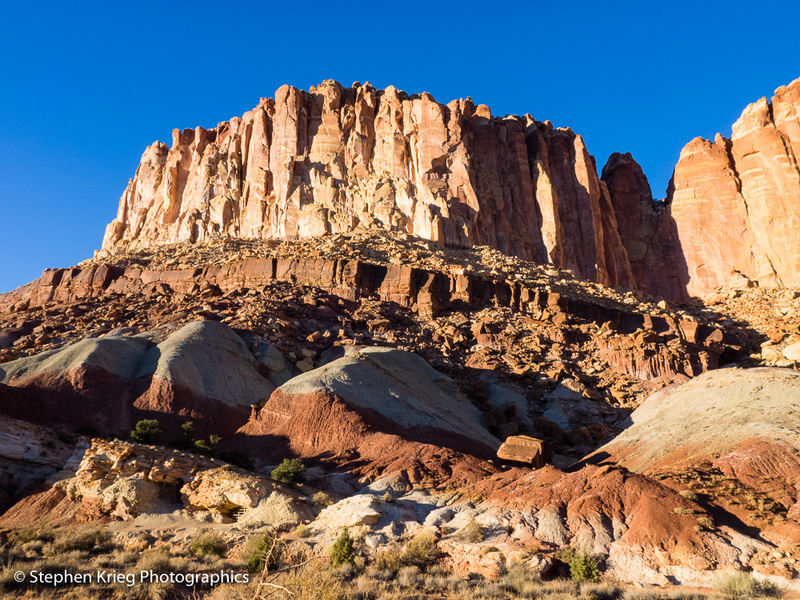 Capitol Reef National Park, near Torrey, Utah. 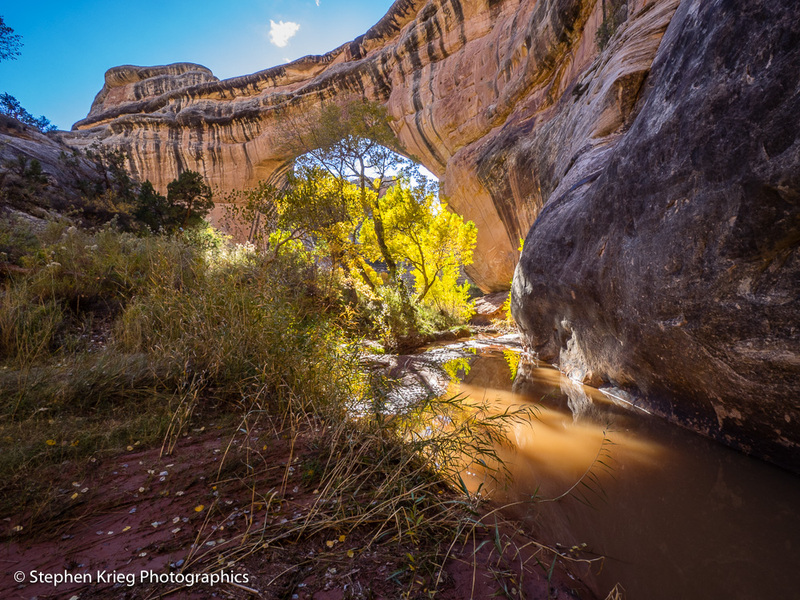 Pools of water and fall colors at Sipapu Bridge, White Canyon, Natural Bridges National Monument. 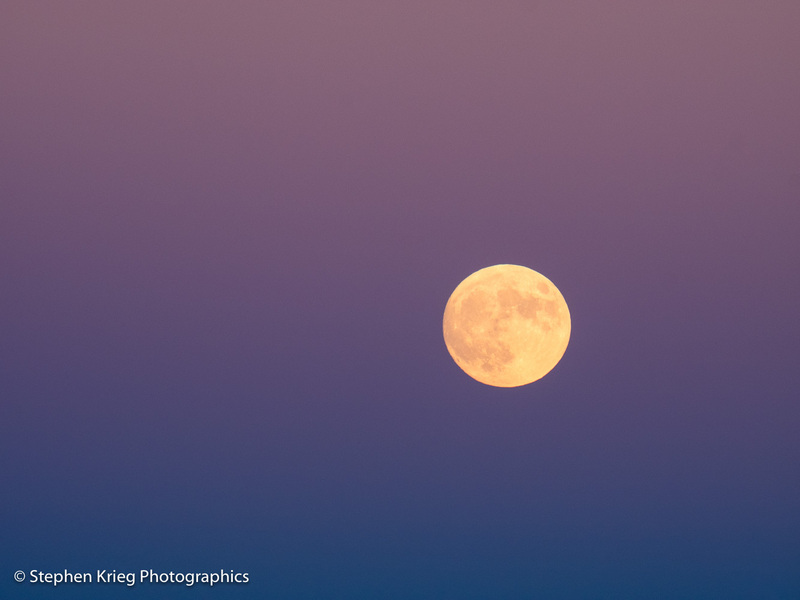 October Full Moon at dusk, San Juan River valley near Mexican Hat, Utah.